For active adults who wish to be closer to amenities and don’t require the space of our larger Cottage Duplex-Homes, Kruse Village offers our popular Active Senior Living Apartments. Residents appreciate that our apartments do not require a down payment, but are instead rentals – with rent, utilities and all services listed below in a single, reasonable monthly fee. Kruse Village Apartments are located within the main building of Kruse Village, just steps away from our chapel, dining room, library, beauty salon, activity spaces and much more. 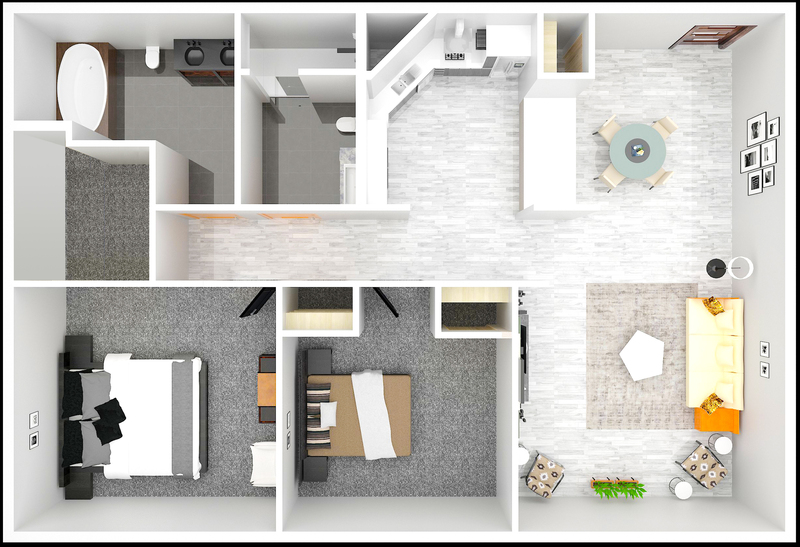 With spacious 1-bedroom/1-bath and 2-bedroom/2-bath options, active seniors enjoy freedom and independence, with the luxuries of a truly carefree lifestyle.